We are committed to building partnerships with organizations that promote safer sexual practises and empower women. Whet Personal Products cc (WPP) was founded 7 years ago by, Marina Green, as a pioneering business model focussed on empowering and educating women, particularly in respect of their sexual health. This is firmly enshrined in the company’s mission statement, as is our support of gender equality, LGBT rights, and respect for the human rights of people living with or affected by HIV and AIDS. Whet Personal Products cc has developed and is committed to building partnerships with organizations that promote educational initiatives about the risks of unsafe sexual practises. 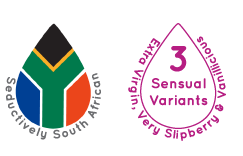 We are a Seductively South African company that deals effectively, with a nation-wide client base. We are able to offer a world-class product (with fewer carbon miles) at a competitive price and a commitment to supporting the South African economy. We would like our products to be accessible to all and not only an elite few. As part of our social action initiative we are pleased to be able to supply Whet Personal Lubricant to designated organizations, at wholesale prices. We can offer personalised branding options enabling your organization to customise our product while still benefitting from the reputation of quality of our brand. Whet Personal Lubricant is made from safe, non-toxic ingredients (pharmaceutical or high-grade products) and manufactured in a GMP (Good Manuafacturing Practice) accredited facility. Please contact us to discuss these and other packaging requirements.